What do the Pedals on the Piano do? Find a Good Piano Teacher in Singapore. Ever wondered what do the pedals on the piano do? Now that you have learnt the different types of piano and the benefits of having home piano lessons, what’s next? We know what you may be thinking. 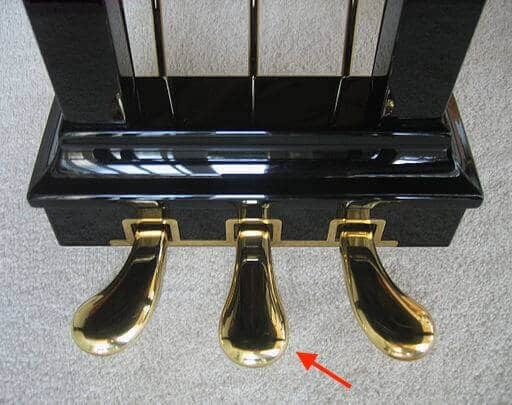 Have you ever thought to yourself why does a piano has pedals on it? Has your piano teacher in Singapore told you about the pedals before? At a first glance, the pedals might be pretty similar to the car’s pedals. A manual transmission car also has three pedals. Piano pedals are very often being overlooked by many, and some may find it redundant. Well, just like car pedals, they generally help to orchestrate the entire process. In fact, the pedals on the piano are used to control the tune and the volume. Prior to the understanding of the pedals, it is important to briefly go through the components of a piano. A piano has a set of three strings, a damper and a hammer. A damper is made up of felt that mutes the strings to stop any vibration. It is similar to a dampener which is a small-looking object that players placed on the face of their tennis rackets which prevents vibration as well. For a hammer, when someone presses a key, it strikes the strings at an instant thus producing a sound. Basically, a piano has three different types of pedal such as damper, soft and sostenuto. A damper pedal is also known as the sustain pedal, is the most frequently used one which can be found at the rightmost pedal. When you step on the pedal, it lifts the dampers up. Subsequently, the strings will vibrate more freely producing various tones. Even when you press the piano keys and then release it, the dampers will not fall to end the sound. In other words, the sound produced is similar to an echo or a resonance where it will sustain over some time. The sound will be stopped only when you release your foot from the pedal which results in the dropping of the dampers. A sostenuto is the middle pedal which allows certain notes to be sustained without affecting or even disrupting other notes. Sounds pretty shiok! (Shiok is a Singaporean slang, which means 'cool!' 'great!') The selected notes will reverberate once you have stepped on the pedal. Once you have released the pedal, the sound will stop there. You can’t find a sostenuto pedal on upright pianos. As such, they replace it with a practice pedal instead. A soft pedal is also known as the una corda, is the one which can be found at the leftmost pedal. The soft pedal shifts the hammer a little to the right which resulting it to hit two strings at once instead of hitting all three strings at once. Consequently, the sound will be quieter as well. For upright pianos, the hammers are positioned even closer to the strings to produce a quieter sound. This comes in pretty handy if you want to play a part of your song softly to achieve your desired outcome. If you want to produce a quality piano piece, you have to use the pedals even if you do not like it or find it a hassle. Another analogy would be managing a football team. In a team, you have a goalkeeper, some defenders, midfielders and strikers. The pedals on a piano are just like the midfielders. In football, midfielders generally supply key or important passes to the strikers as well as intercept passes and movement from the opposition. Pedals act as a supply and an enhancement to make your tone or music sound more spectacular. Thus, piano pedals should never be underestimated. Your piano teacher in Singapore will certainly give you more clues and details on what the pedals can do. If you would like to hone your piano skills to a whole new level, you may want to consider signing up for our piano classes. Ali is the co-founder of LVL and in charge of everyday operations. With his passion for providing quality music lessons in Singapore, he strives hard to give the best home music classes to kids and adults. He is a loving father to his 2.5 years old little girl. What are the different types of piano?